2018 Motion Picture Artwork and Images © Turner Entertainment Co. and Warner Bros. Entertainment Inc. 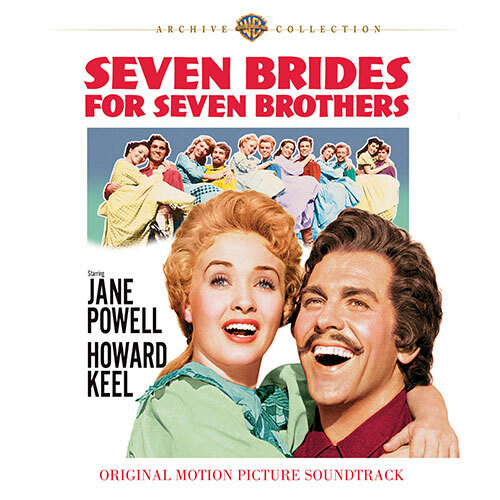 SEVEN BRIDES FOR SEVEN BROTHERS © 1954 Turner Entertainment Co. and Warner Bros. Entertainment Inc. ℗ 1996 Turner Entertainment Co. and Warner Bros. Entertainment Inc. All Rights Reserved. WaterTower Music Special Thanks: Peter Axelrad, Paul Broucek, Rocco Carrozza, Vincenzo DeLaRosa, George Feltenstein, Joe Kara, Kevin Kertes, Katie Lambert, Sandeep Sriram, and Robert Zick.